Copies will be available through Underground Power in Europe after the release date. Follow us on Facebook if you want the latest news! Last edited by Speedeceiver on Mon Oct 15, 2018 1:48 am, edited 3 times in total. That lady has a lot of attitude! She definitely helps the track stand out. The music itself is good but I found it average until the solo kicked in after the 4 minute mark, which is excellent. I've only listened to the track once and I'm curious to hear more. It is very hard to get a proper feel for this type of music by listening to only one song. I could see myself banging my head to it at Hammer of Doom at some stage! Sounds pretty good to me Speedeceiver, nice job. A single song isn't a lot to go on, but as Aiden pointed out above the strong female vocals make a pleasant change for this type of music and give it an extra dimension, though the song does seem to end a bit abruptly. Thanks for the freedback! Glad you like it. We should be premiering the second song on the cassette in a few weeks. Really really interesting song, would love to hear more! These vocals stand out for sure! Cassette already sold out? Damn. This sounds good. Razanez wrote: Cassette already sold out? Damn. This sounds good. Cassettes are sold out but there will be other formats available in the next few months. It actually reminds me of going to Doom Shall Rise festival. Around that time there was quite a few new doom bands appearing that were very good and you guys (& gal!) would have fit right in. Cheers, glad you've been enjoying it! We're hitting the studio in October to record the full length. 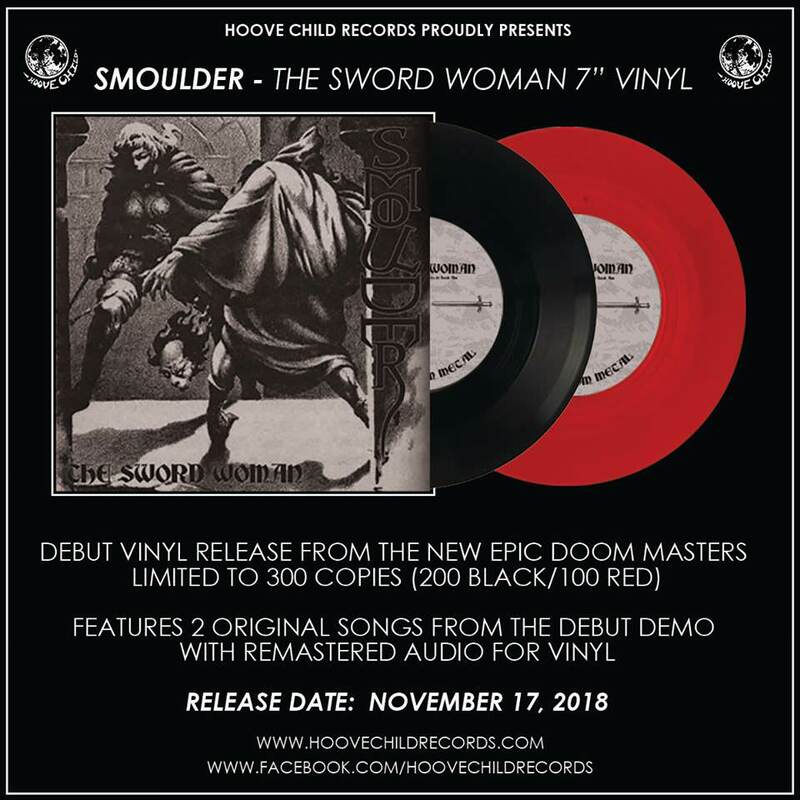 7" pre-order details in my original post. Amazing show at Hammer of Doom. It can't be easy to play in front of a hungover crowd at lunchtime but that helped get everyone going for the day! Sarah is obviously a lunatic! Not sure that she is the kind of person I would want wielding a sword in front of a crowd but it worked! Loved it! Cheers, i'm glad you enjoyed it! It was a little nerve racking playing in front of so many people, but at the same time it was amazing to see so many people there at 1:30! You don't see that kind of dedication in North America. We will definitely be back next year! Yea that sword was actually very heavy, probably meant to be wielded with two hands! The shipping prices are what they are. Please keep in mind that postage rates are constantly rising. In addition, the shipping price includes the packaging materials and time spent packing. A lot of time and effort goes into releases like this on small independent labels! I'm a huge music collector myself so i understand that shipping prices can be outrageous sometimes, but we're doing the best we can without support from larger labels and well established distribution networks. 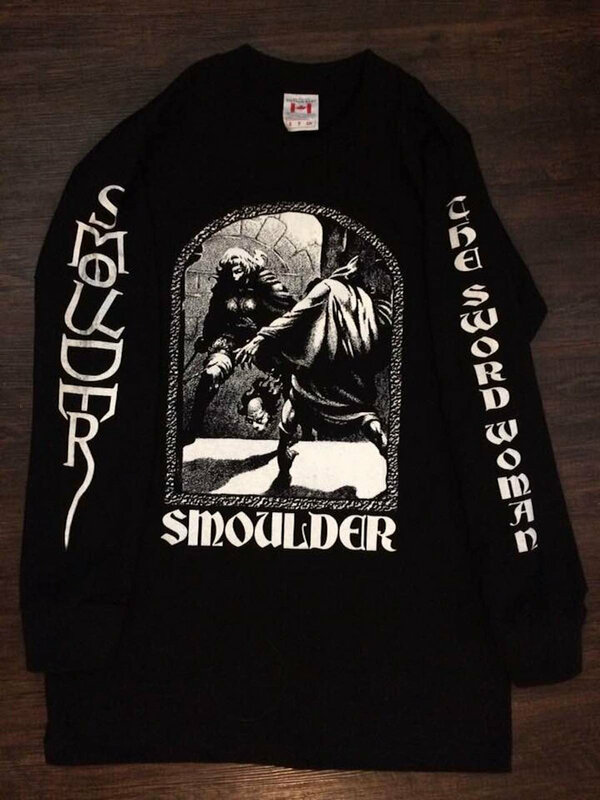 Pre-order for the second run of The Sword Woman Longsleeve is up on our bandcamp now!